Tempo Music School had a great day facilitating workshops for the students in Mount Seskin. 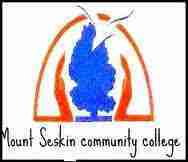 I had my work cut out winning over their trust at such an early hour, to be greeted by a stranger shouting about goats, skins, beats etc can be hard to digest so early in the morning but in no time the good spirited teenagers of Mount Seskin took to the task with gusto. Well done to everyone involved and thanks to all the staff who helped out during the day.